The Model 1200 Standard Precision LowProfile™ Load Cell is Interface’s most popular load cell. For example, the 1200 has higher output than most competitive LowProfile™ Load Cell. In addition, it is designed for general purpose applications requiring a load cell compensated for eccentric loads. 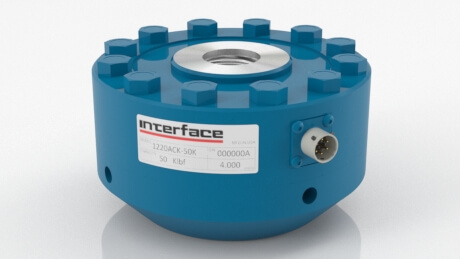 Interface load cells can measure 1 pound (4.45N) or 2 million pounds (9000kN) of force. Above all, the gage sensors in every load cell are individually inspected, tested, and certified to meet our rigid standards.